For all dealer applicants, please note that we may need to see sample images or links to confirm that your items and/or services will be of interest to our attendees. 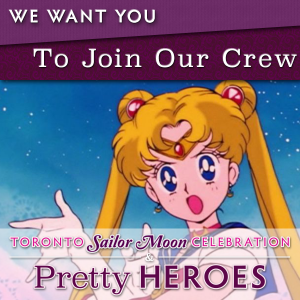 Exhibitors and Vendors are strongly encouraged to sell items that may be of interest to attendees of the event including Sailor Moon items, anime items, cute items, “girly” items, and items featuring inspirational female characters/persons. While you do not need to have all of your items fit the theme of the event, our attendees expect a curated shopping experience and sales tend to be more favourable for vendors and exhibitors who have items that are on theme. We also recommend that if you have been a dealer at our events previously that you add some new items each time you have a dealer space to encourage repeat customers. Please make sure you mark [email protected] and [email protected] as safe senders as correspondence and confirmations may be sent from either address. Please reference our floor plan when choosing your table/booth location (subject to change). The floor plan is a PDF file located on dropbox. If you have problems viewing, please try again or download to view instead of viewing in browser. Sponsorships are also available! Please email us to inquire about sponsorship opportunities for up to both days of the convention to promote your business/organization. Community/display tables are available on request for other GTHA conventions, non-profits, and charitable organizations. Requests for display table spaces will be reviewed on a case by case basis as we have limited space and priority is given to organizations that align with the convention theme. Anyone who requests a community table and does not show up to claim their space without notice will be ineligible for community space in future. Single day options are also available for dealer space on request. Please inquire for more details. Note that priority will be given to weekend dealers. Additional dealer badges will also be available for purchase on request. We reserve the right to limit extra dealer badges available for purchase as we see fit. Professional businesses are not eligible for Independent Vendor space. We will notify you if you are only eligible for Exhibitor space. We are a curated event. All persons directly selling must be approved by the convention chair and/or dealer relations. Any person who sells their wares under another applicant’s approval without pre-authorization is subject to removal at the discretion of dealer relations. Any person with a dealer badge must divulge whom they are associated with if asked by any member of convention crew. Not disclosing who the approved contact/group you are associated with puts you at risk for having your badge revoked. Parking is complimentary at the Japanese Canadian Cultural Centre, but there are limited spaces. If you cannot find a space, we recommend investigating the paid parking lots nearby. Electrical is extra. The cost is $20 per day. All electrical requests must be made in advance to guarantee hookups. Please do not bring in additional tables or chairs without requesting clearance in advance. We reserve the right to ask for them to be removed and/or charge additional fees for them at our discretion. If you have any concerns about this, please email for more details. Additional structures are permitted, but they must be secured within your space at all times. Structures may not block access to any other dealers, walkways, or doors. Structures may only have the support base extend approximately 6″ per side from your allotted space and display can only be a maximum of the width of your allotted display space. Displays can be a maximum of 9 feet in height. Taller displays will have to be reduced in height or removed if they cannot be lowered. All food vendors require liability insurance. Please ask for more details if interested. Weapons are NOT allowed to be sold or displayed at Pretty Heroes. If you express intent to sell any weapons, your application will be denied. Any dealers found to be selling or displaying weapons at the event risk losing their space without a refund. Weapon props are permitted, please ask for details. Setup and dismantle times and details will be confirmed via email to confirmed dealers. Drop off will be available on the Friday, but setup is only permitted on the Saturday and Sunday mornings. If you require special access outside of drop off and setup times, please contact us and we can coordinate with the venue to accommodate as best as we can. Payment is accepted via Paypal or etransfer online; cash or credit (Square) in person. Please note that online payments may have the name “Emily Gonsalves” written on them as the business (Pretty Heroes Events) is registered under her name. Your receipt will be required for check-in, please bring either a printed or digital copy with you to registration. If you misplace this, please be prepared to show ID to verify your identity. You MUST supply contact information (email preferred) or we will not be able to contact you. If you are not sure we received all your details, then e-mail us to follow up. You MUST pay any invoice received within 30 days to secure your reservation or you may lose your space to the next person in line. If for any reason you cannot pay by the deadline, you must email us to request an extension. Reasonable extensions will be allowed, but absolutely no payments will be permitted at the door for dealer space, only for dealer badges. Refund policy: if you require a refund for any reason, there will be a processing fee incurred. Refunds must be requested a minimum of 4 weeks before the event date so that we have time to re-assign the space. We make an effort to respond to all inquiries within 7 days. Closer to the event, we will be responding more frequently. If you don’t get a response at this time within 7 days, please e-mail us to follow up. Please wait seven days before sending a follow up if you haven’t received a response. Sending in multiple reservation requests within the same day is not necessary and will slow down our response to you as we need to cross-reference details before replying. Reservations will only be accepted via email or in person. Please do not send messages on Facebook to try to reserve space or send questions about dealer space as they can be too easily missed. Please also note that if space runs out for 2019, you will be contacted for 2020 before space opens to the public. Please make sure to check your spam as we use a mailing service and it may not appear in your inbox.